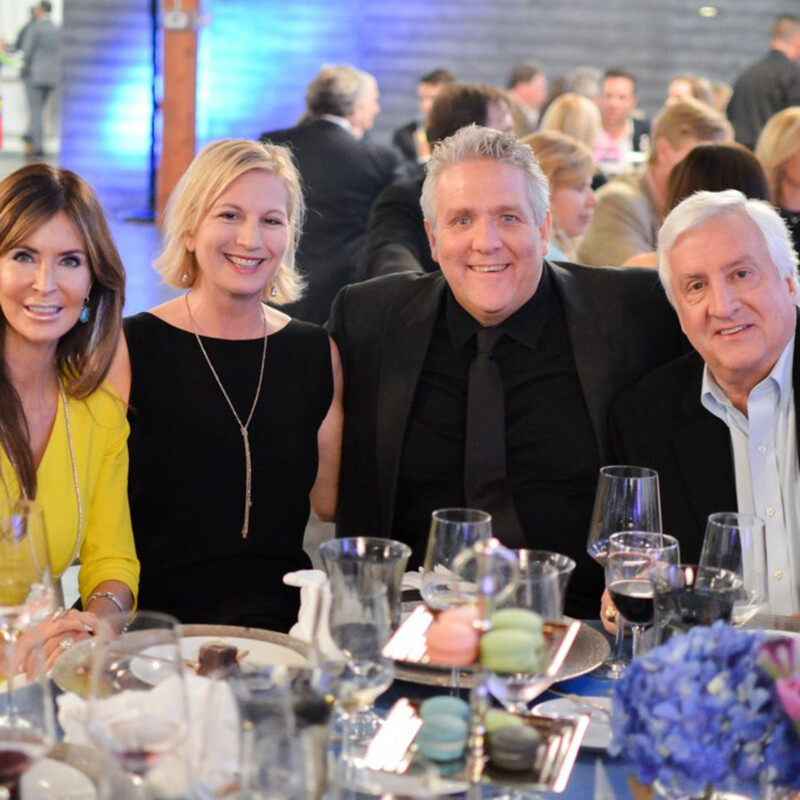 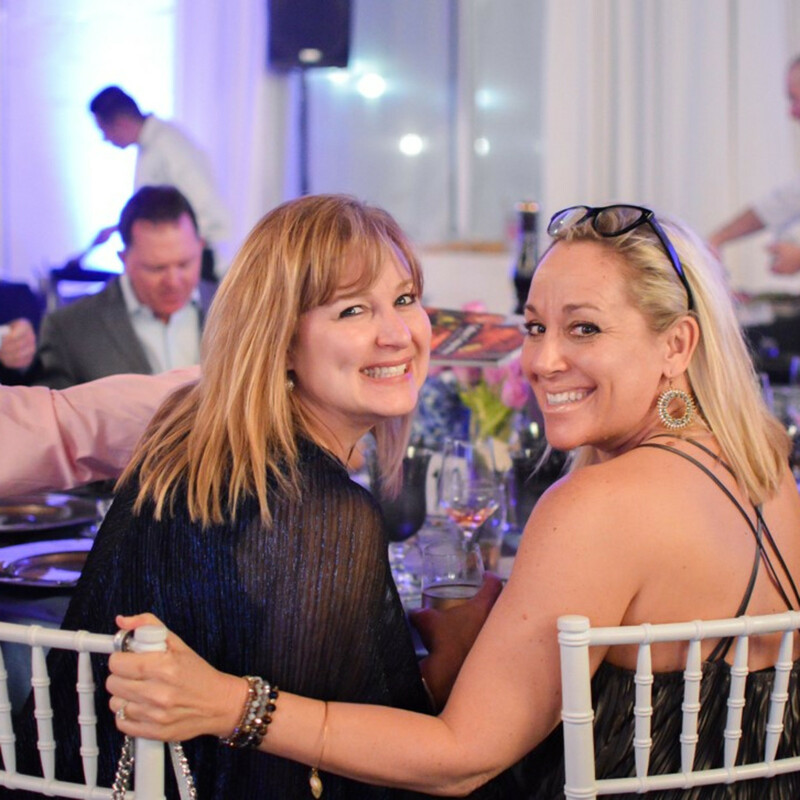 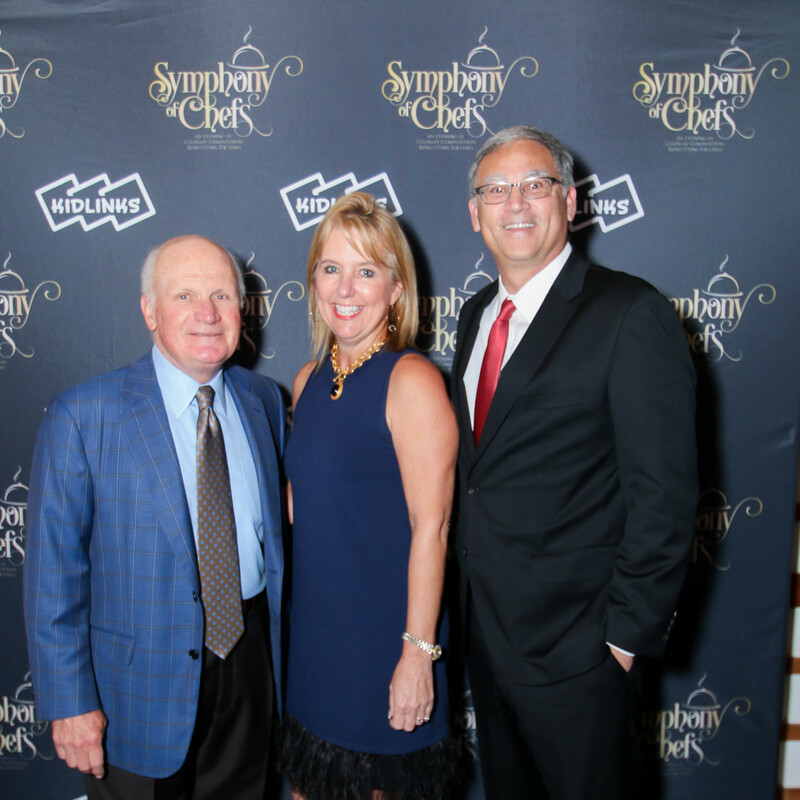 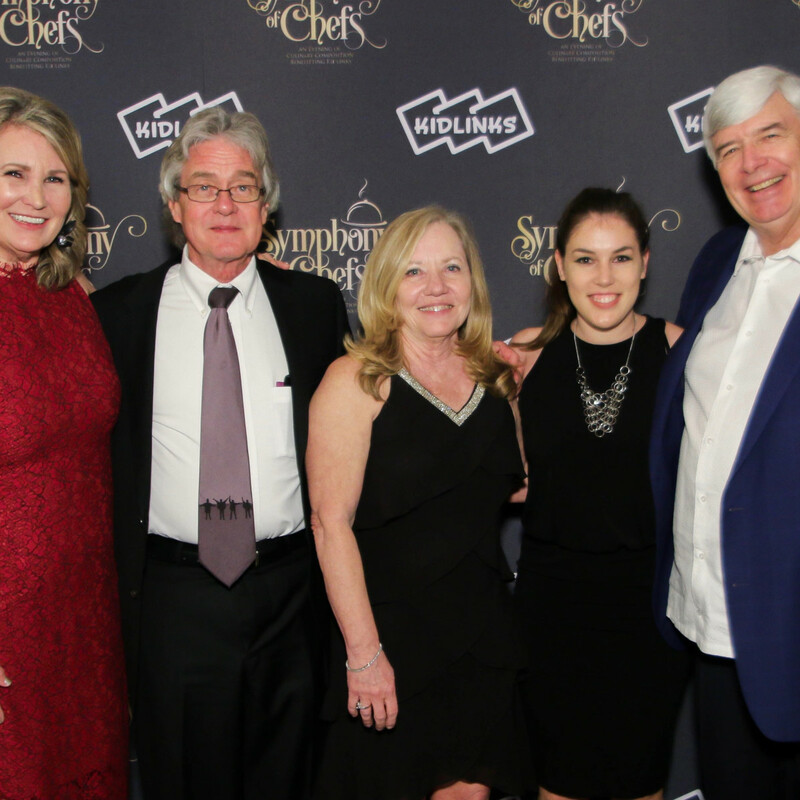 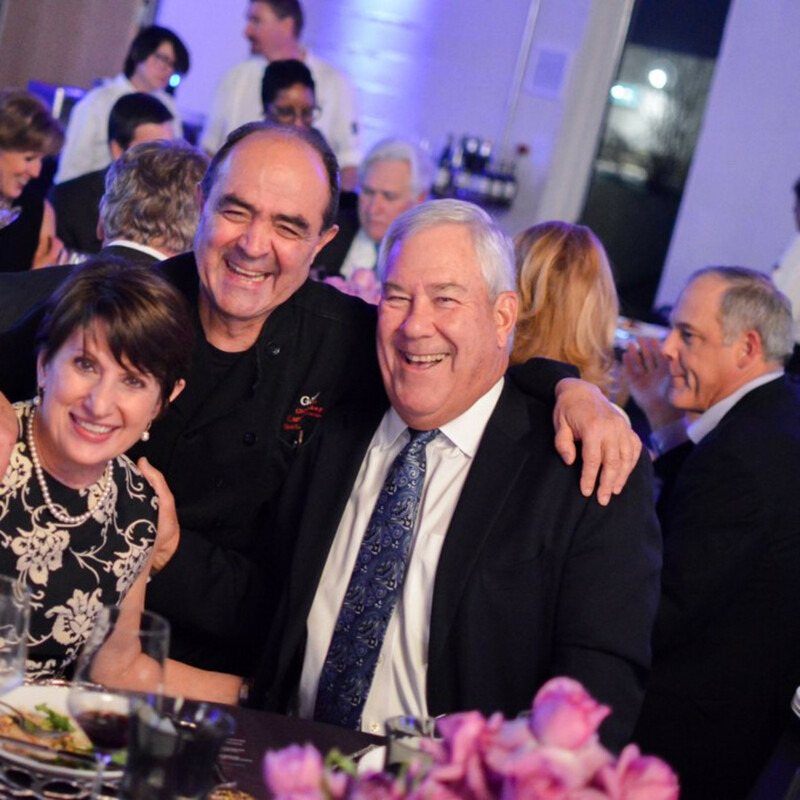 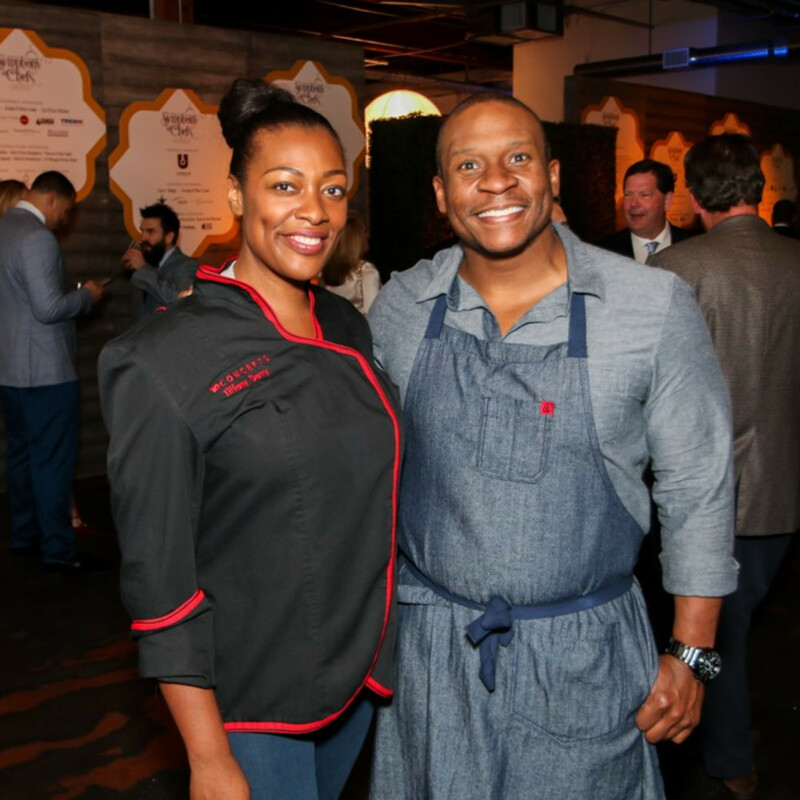 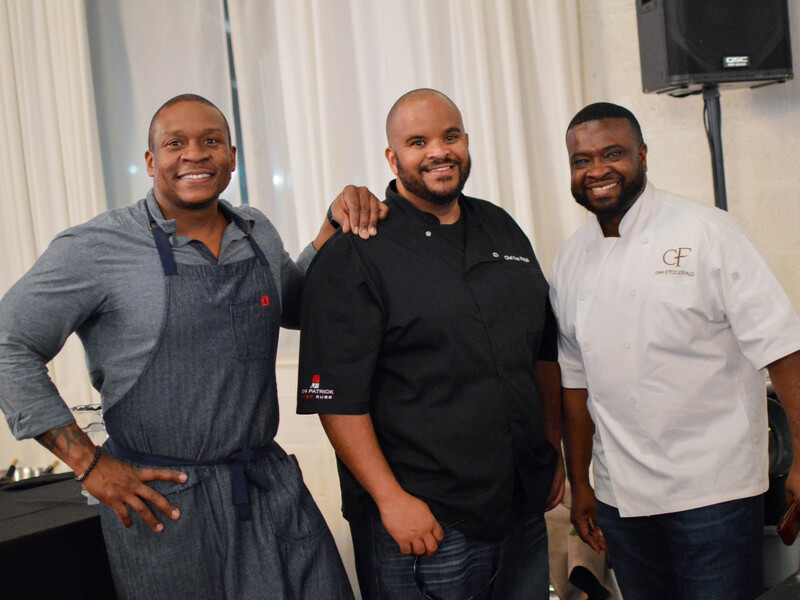 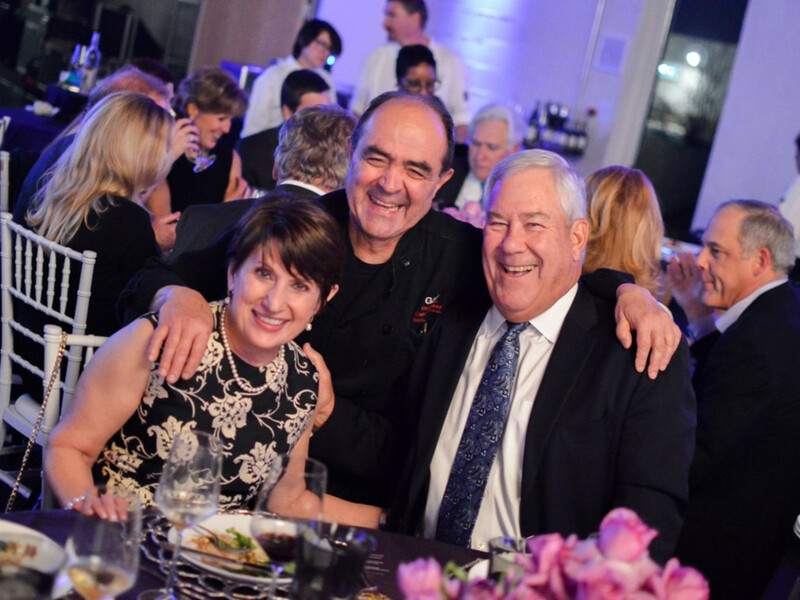 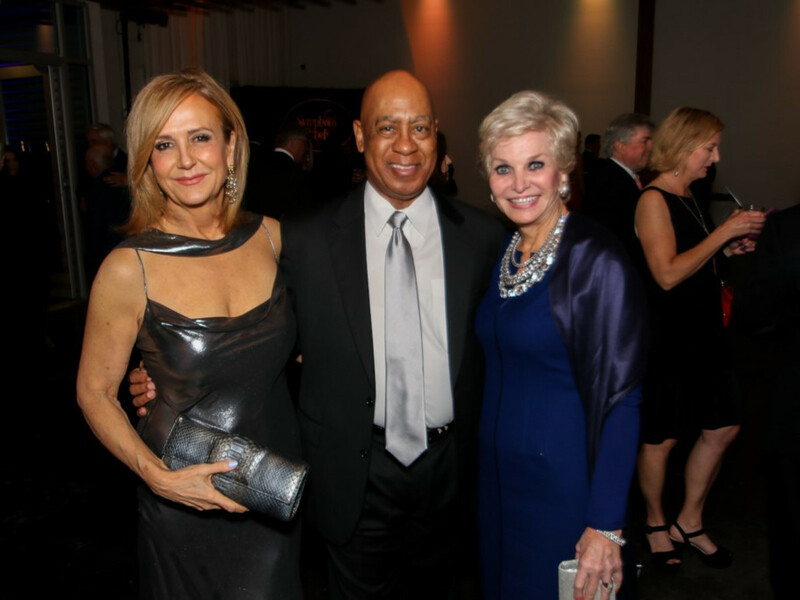 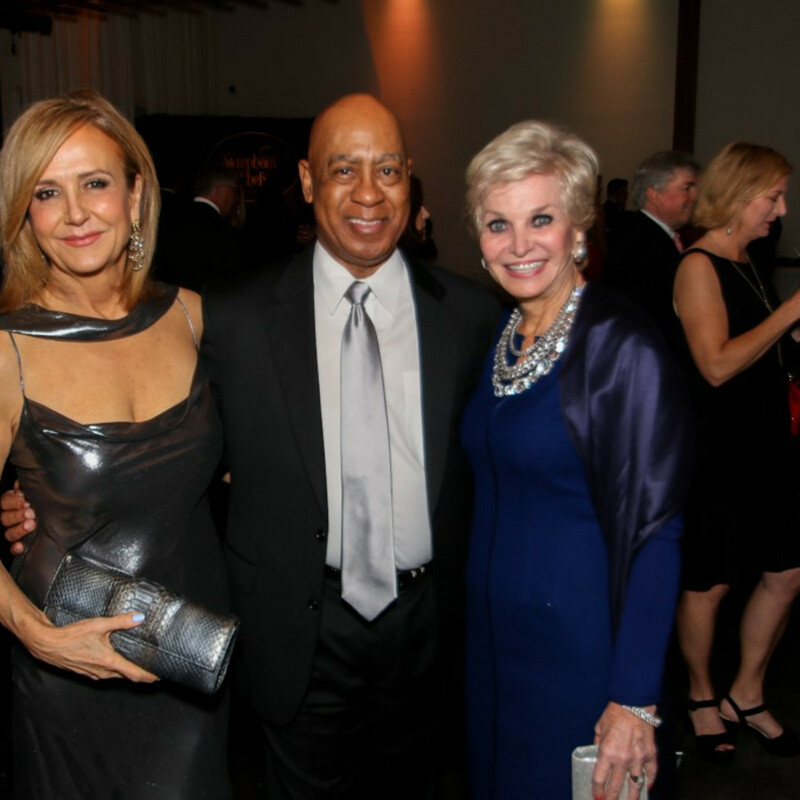 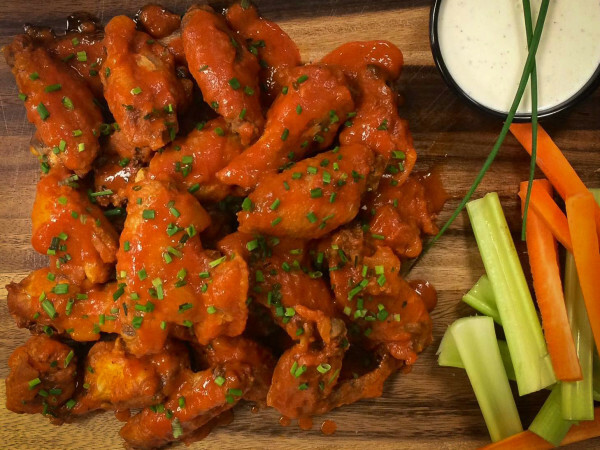 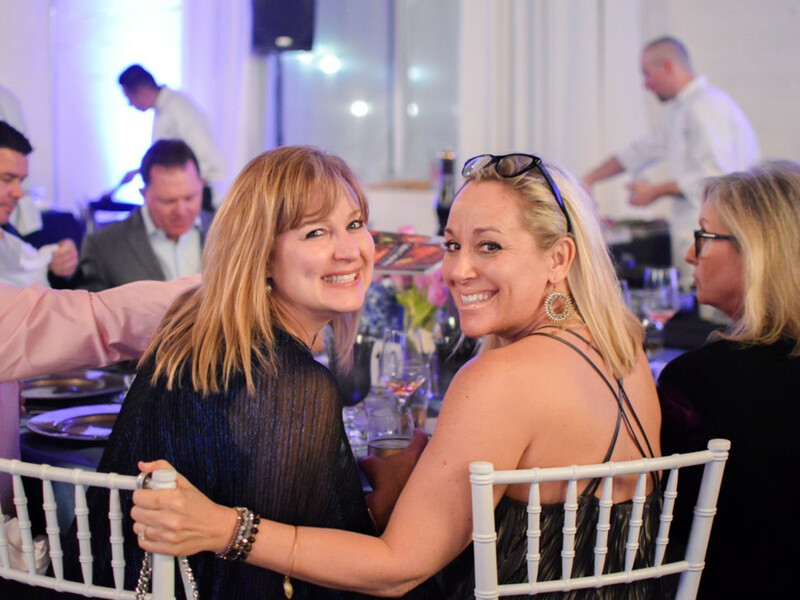 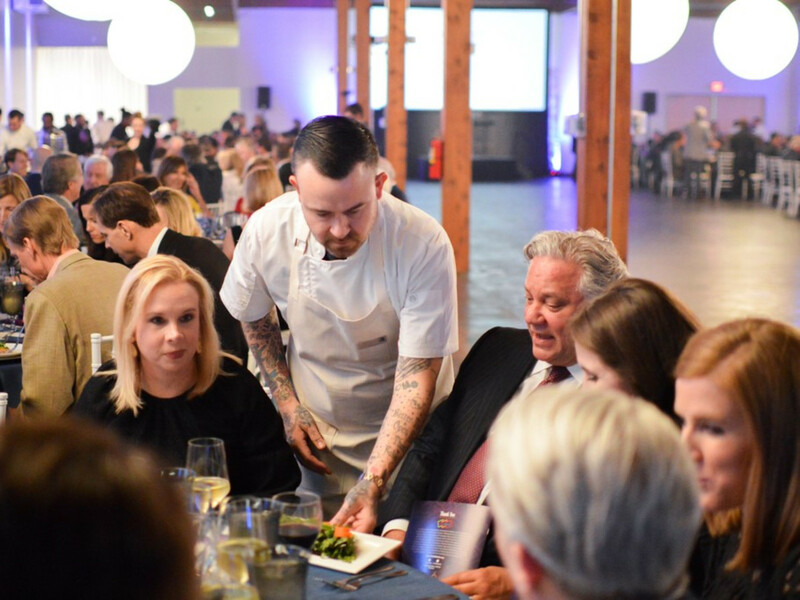 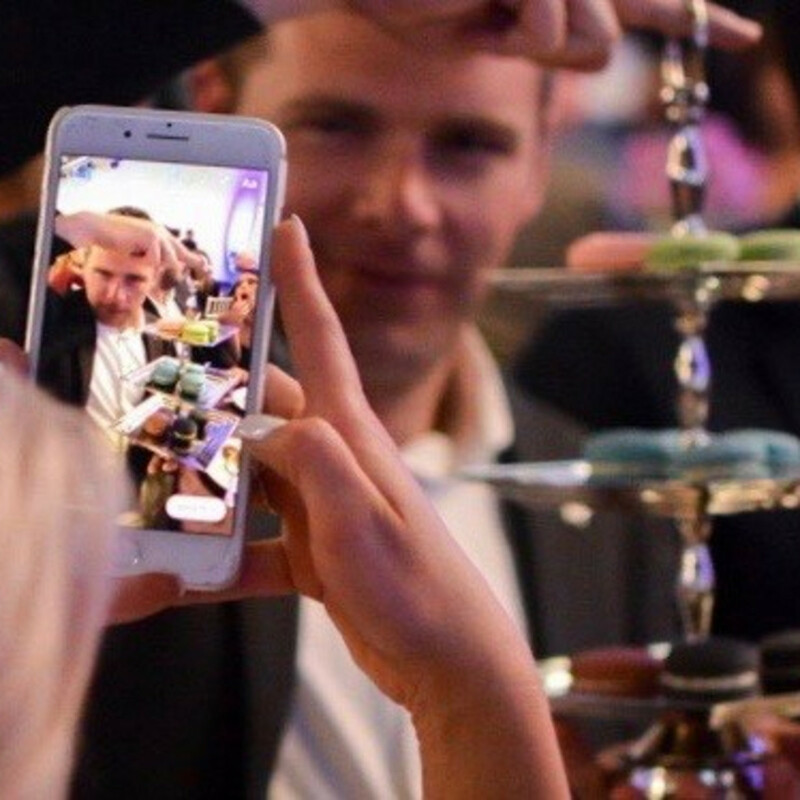 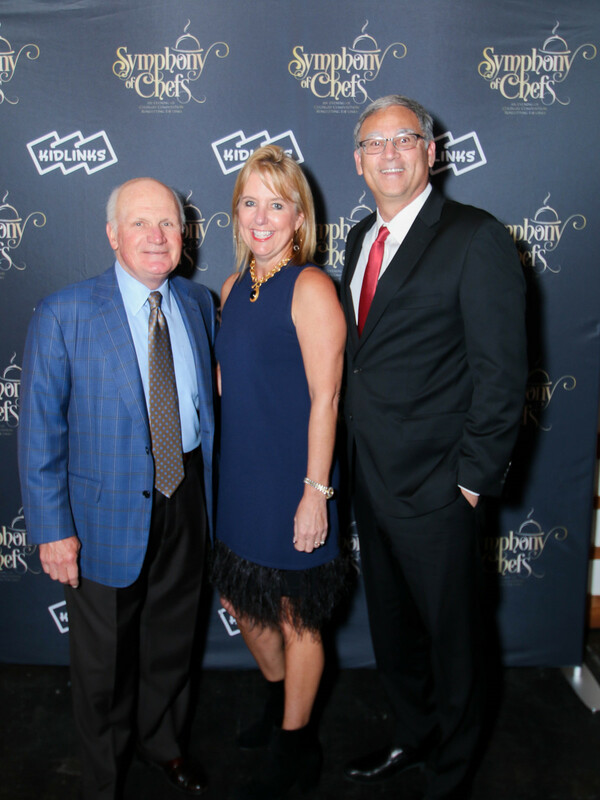 The 411: The eighth annual Symphony of Chefs was a delicious night of foodie fundraising, and a record-breaking contribution to KidLinks provided a sweet ending. 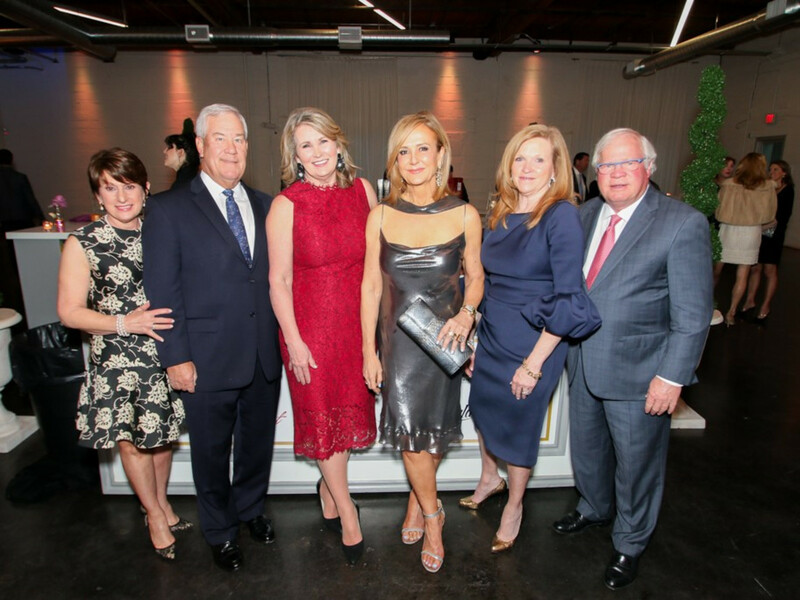 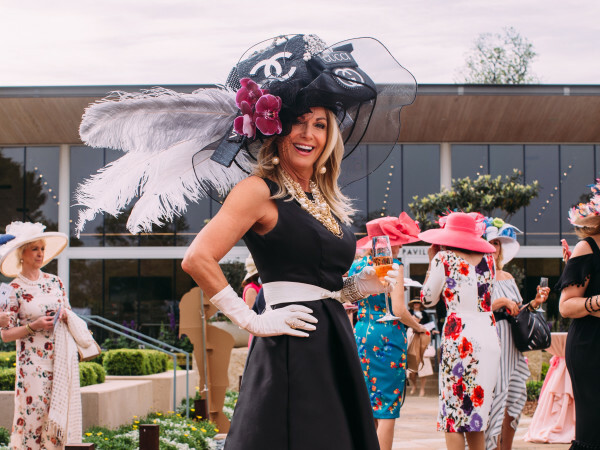 The 2018 event was co-chaired by Georgia and Marc Lyons and Vinette and Michael Montgomery and emceed by Good Morning Texas co-host Jane McGarry. 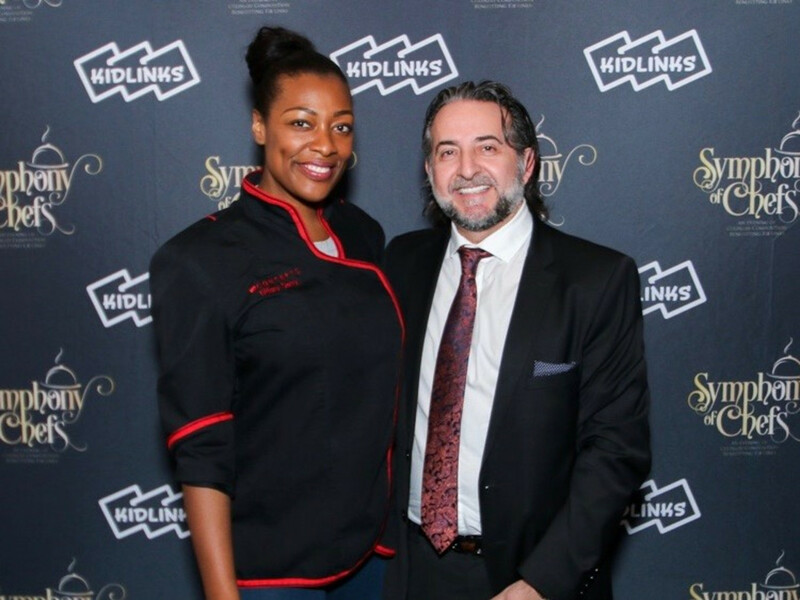 Honorary chef chair emeritus Salvatore Gisellu of Urban Family Restaurants had passed the knife on to honorary chef Tiffany Derry, who enlisted an impressive roster of 25 accomplished chefs, including Tre Wilcox, Chad Houser, Joanne Bondy, Fitzgerald Dodd, Mark Guatelara, Ken Patrick, Manny Vera, and more. 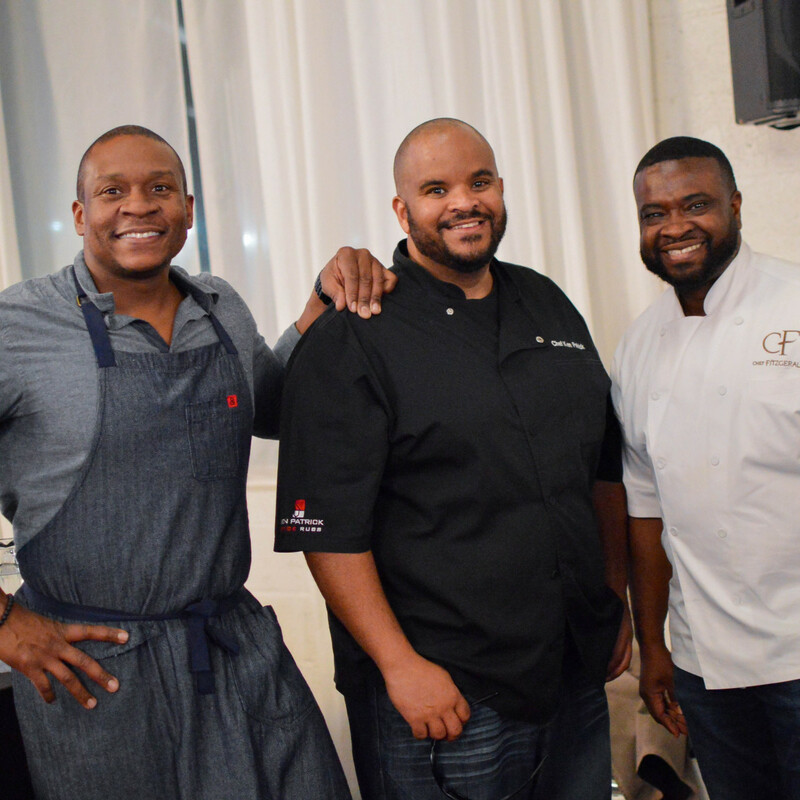 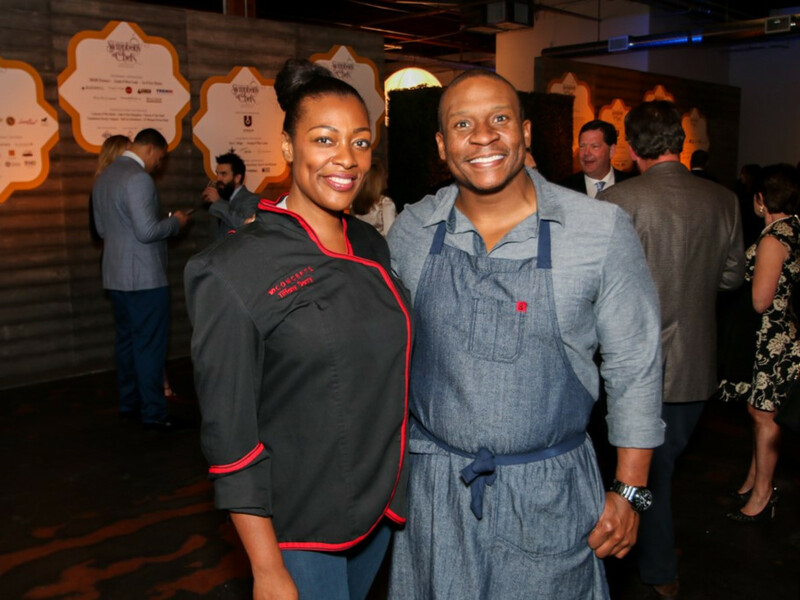 The evening began with a hors d’oeuvres reception prepared by chef partner Justin Yoakum from Fleming’s Prime Steakhouse & Wine Bar. 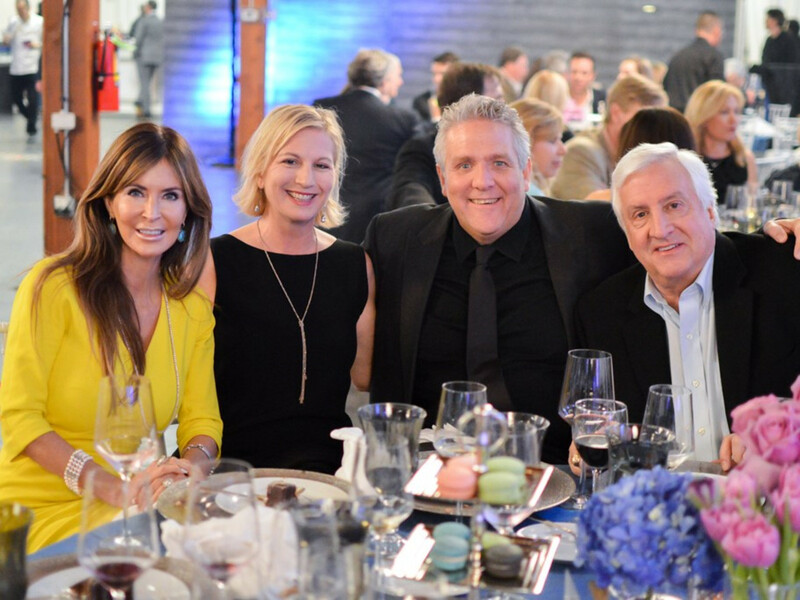 About 250 attendees, including Jolie and Bart Humphrey, Carmaleta and Otis Felton, Margo and Bill Goodwin, Dallas Cowboy Tyrone Crawford, and founding event chairs Bonnie and Nathan Shea enjoyed light bites and drinks while musician Corey Breedlove serenaded on guitar. 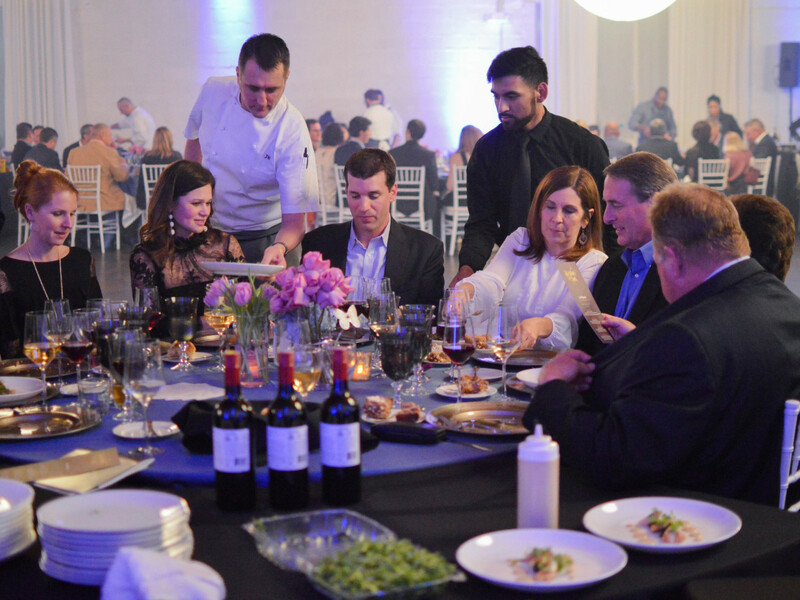 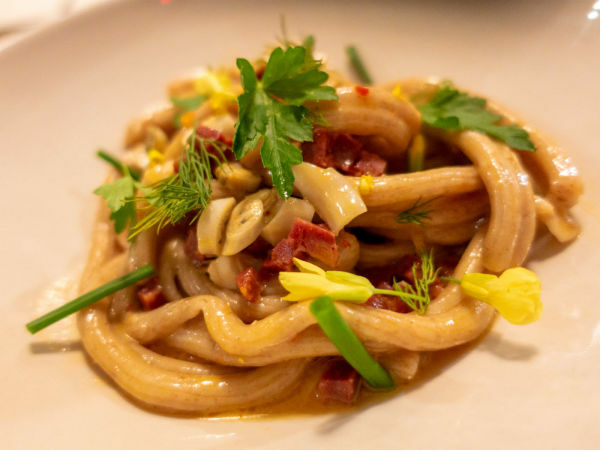 Then guests sat down to a four-course dinner prepared table-side by the featured dinner chefs and paired with more than 40 wines representing eight regions. 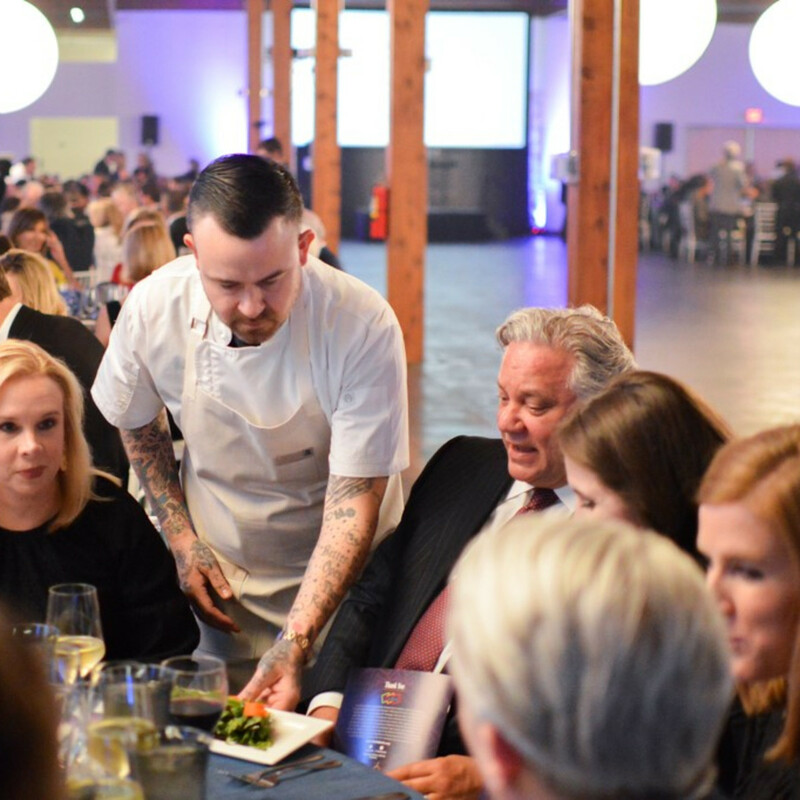 The meal concluded with a presentation of macarons from Haute Sweets Patisserie executive chef Gianni Santin and a decadent chocolate dessert from Dunia Borga from La Duni Baking Studio. 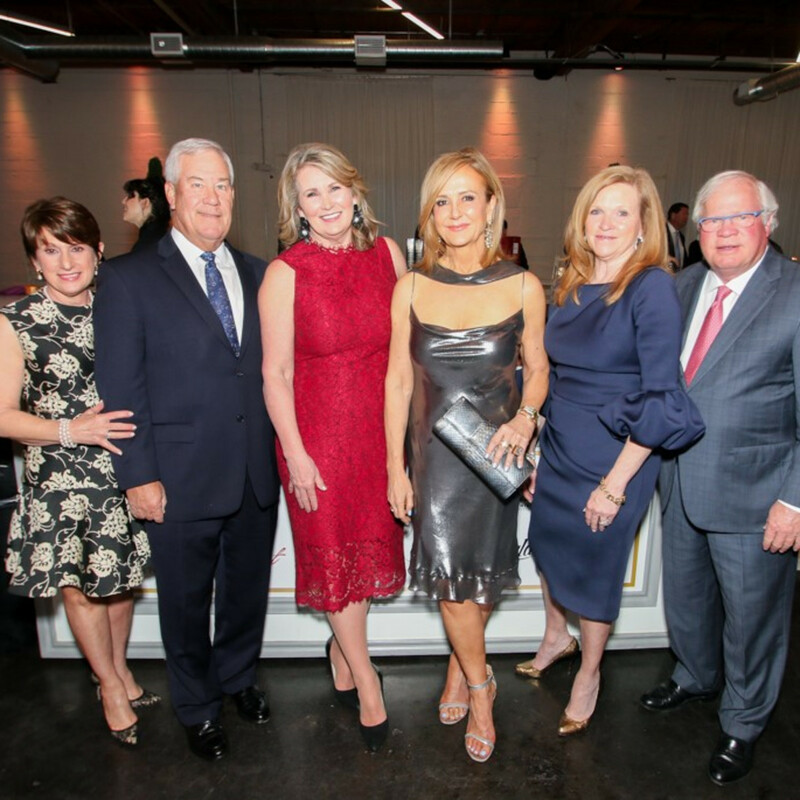 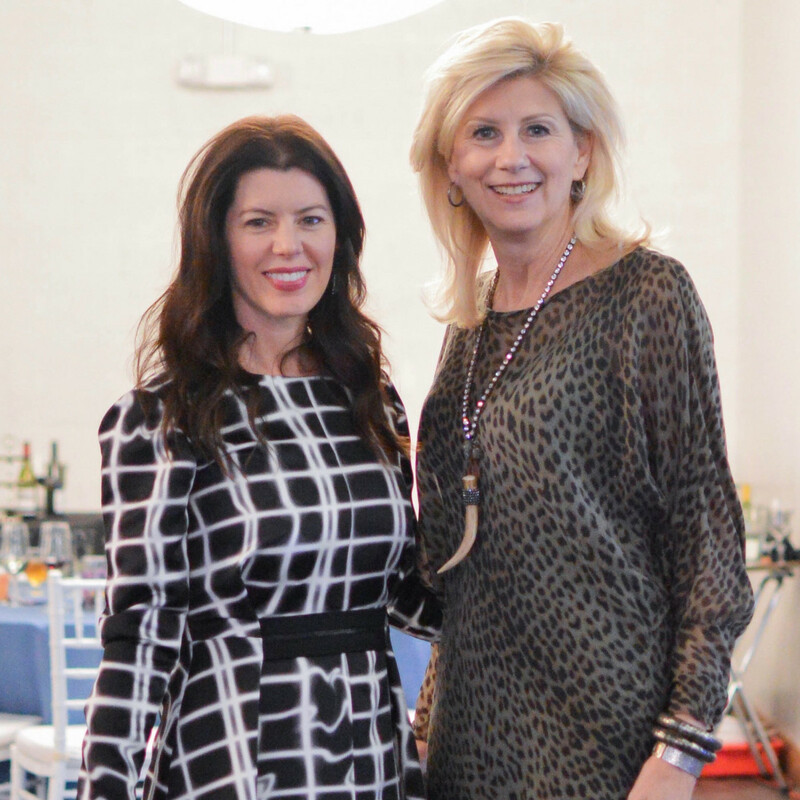 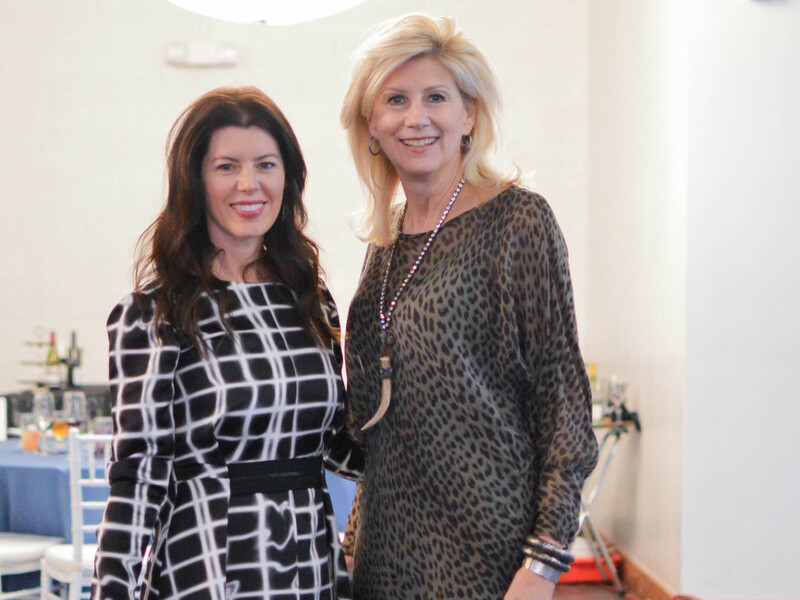 A presentation by KidLinks CEO Diana Crawford spurred patrons to give generously to the non-profit and to bid fiercely for dining packages and more in a live auction. 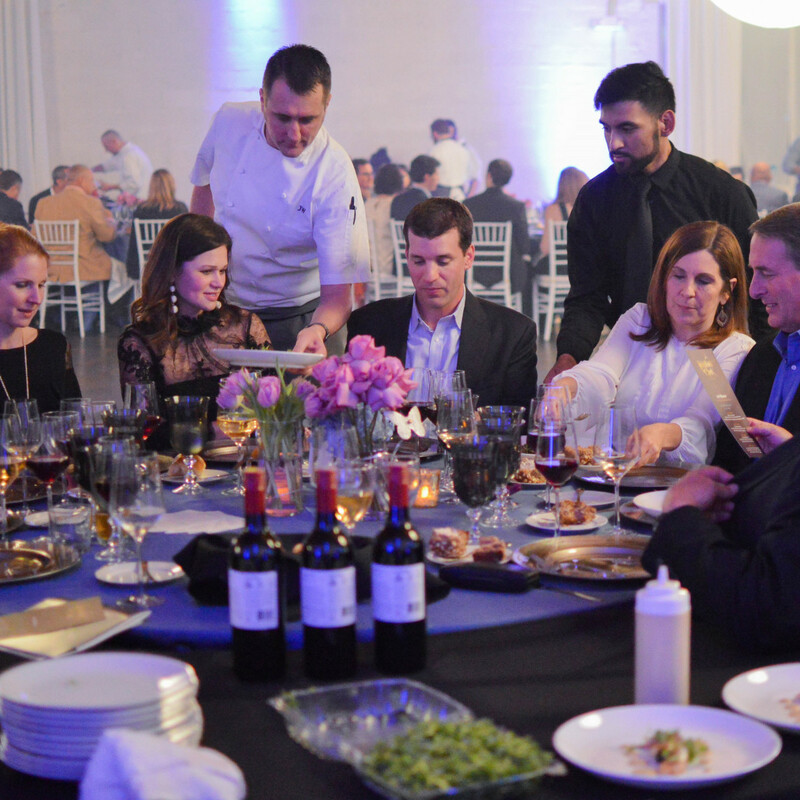 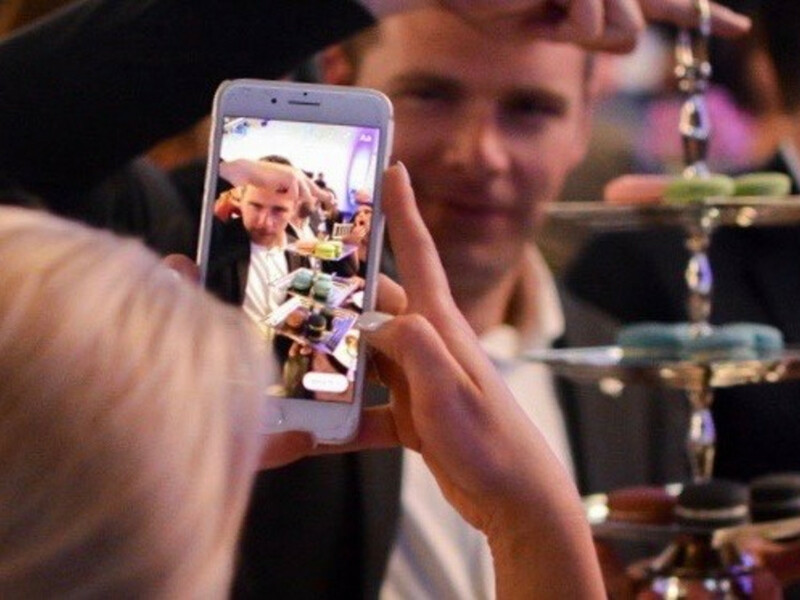 By the time everyone pushed back from the table, the event had hit a new fundraising record of just over $260,000. 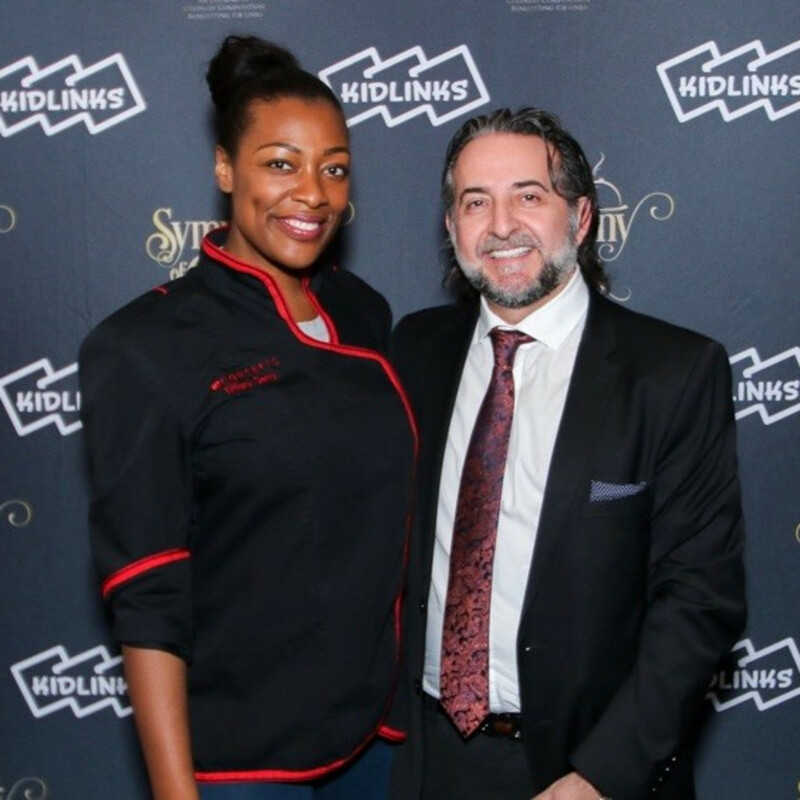 All proceeds go to KidLinks and their mission of linking kids to health and healing through music and media. 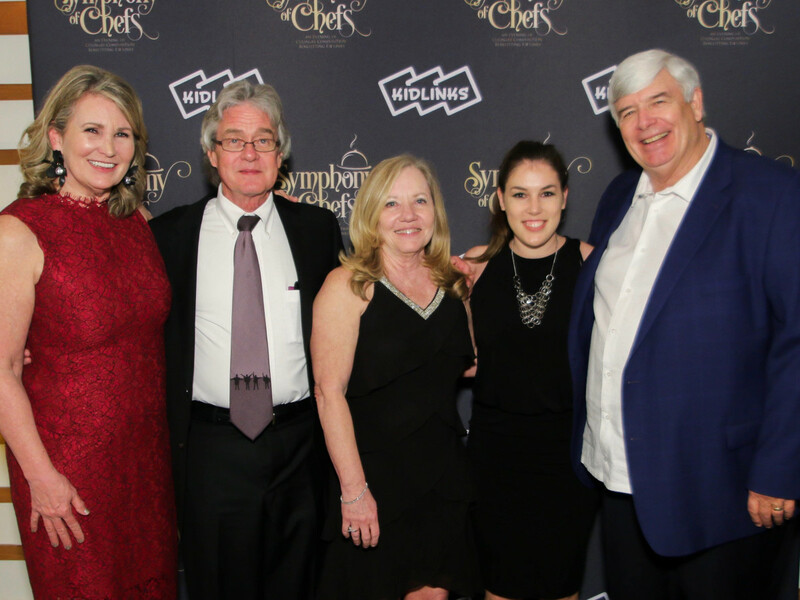 Who: Tracey Shuey, Alyssa Ausbrook, Karen Dollar, Mike Dollar, Suzanne Smith, Scot Smith, Paul G. Hill, Ginny Denmark, Maddie Benner, Jim Newton, Brooke Hortenstine, Lea Anne Laughlin, and JW Brown.